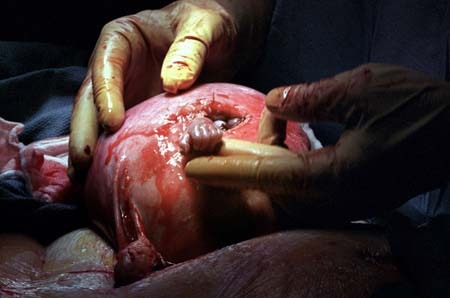 At Vanderbilt University Medical Center in Nashville, during a fetal surgery in 1999, Dr. Joseph Bruner was correcting spina bifida on a baby still in his mother’s womb and photojournalist Michael Clancy captured an image that changed his life – The Hand of Hope. According to Clancy, the 21-week unborn fetus reached out from his mother’s womb and grabbed the surgeon’s finger. The very inspiring photo has been championed by pro-life groups.